You are currently browsing the category archive for the ‘early childhood development’ category. Data is broken down for states….. The national averages are included in the parenthesis… As can be readily seen, it is those damn white people that are bringing our state down! Nice job, Blacks. Way to push our team forward…. 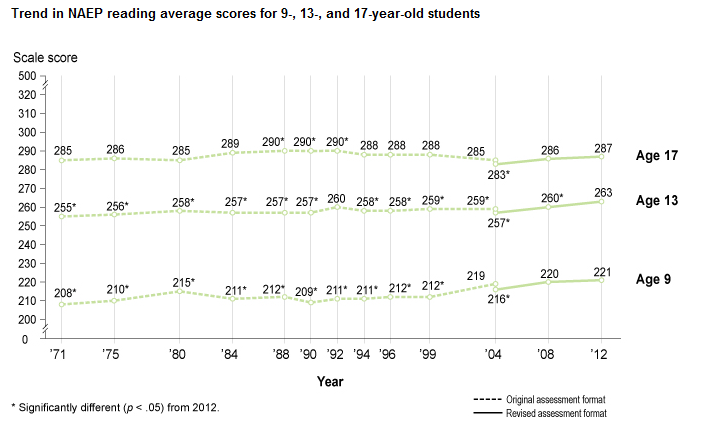 If anything, this is somewhat of a vindication of No Child Left Behind….. 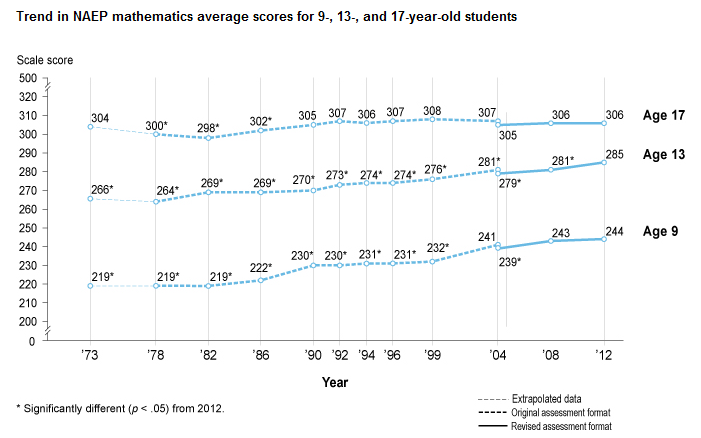 This would be the first class that across its entire lifespan (more or less), was under the tutelage of teachers faced with penalties for not striving to succeed… It is impossible to tell, since a myriad of other factors are in play, and there was no isolation or scientific process to weed out all other possibilities. Any one of those could be the big one, which was that due to the recession during this age group’s high school years,… staying in school was really the “only” practical option available…. Every parent who has had a child already undergo the Smart Balance Assessments or the PARCC, knows this graduation rate will plummet as soon as Common Core goes into effect… They see it in their child: “Boy, I can’t wait to quit school and get away from all this ridiculous boring bullsh\t !” Instructions for Common Core are harder to understand than Mandarin calligraphy…. At least one can learn Mandarin calligraphy. Common Core is a fluctuating standard that can be shifted either up or down upon a whim… depending on whether the power that be, “like” your child. You don’t tinker with something that is working…. It never comes out better….. This data came from here. To start bottom up, rank them how they vote politically. Nevada .. a swing state. New Mexico — Democratic, but with a huge percentage of native American population. Louisiana, Arizona, West Virginia, Arkansas, Alabama, Oklahoma, — All Republican. California — Democratic with a huge Central American population. In people it probably represents more than all the above so far. South Carolina, Texas, Tennessee, Georgia, Idaho, all extreme Republican. Kentucky, always Republican but now may be swinging. Florida — historically always Republican though leaning to swing lately with new voter registration. Montana — Republican values but lately a swing state. Now in my observation, it is too hard to pinpoint this on a political party. Those things morph to get votes. There has to be something bigger associated with the Republican Party, but not officially a part of it. The culprit is the belief and practicing of austerity. Austerity when based on evidence, does not work. True believers counter that the opposite of austerity is Socialism. I don’t think Socialism can be so narrowly defined as setting ones children up for success. And that is what this is about. Taking care of ones children is not socialism. It is a duty. Funding the educational process is a duty required I think by every state. 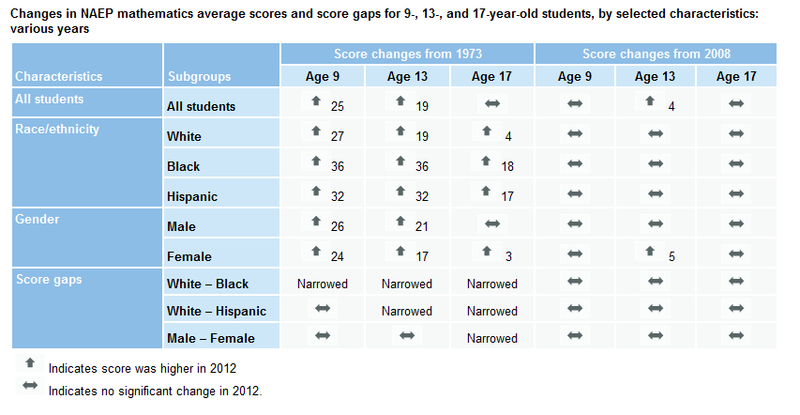 Every state deserves to have their children do well. The practitioners of austerity have dominated the argument far too long. Our children have suffered for it. If one wants to practice austerity, it needs to happen in areas other than education. As a society we must decide this once and for all. The idea that one will cut taxes just to cut taxes and make all things fall in line, cannot apply to education. Educational funding must be maintained at a consistently adequate level, and if revenue comes up short, then let the wealthy pay more… This idea of cutting those very essential services and means for future growth so our elite can have more pocket change, needs to stop. 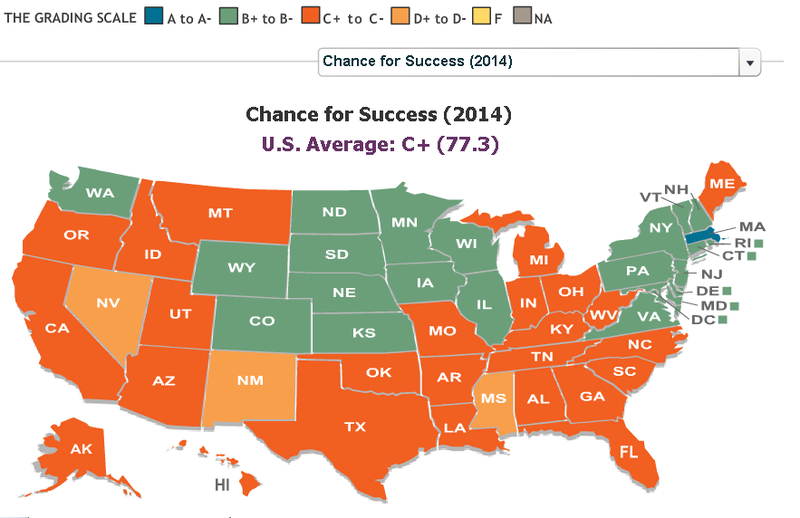 This chart of states ranked by their ability to send their children out into the world and be successful, better than any other indicator I think, shows the folly of following any austerity type of program, but especially when it comes to setting up our children for success…. 1) It doesn’t help anything. 2) It hurts and makes us worse off. “Well, I can see where it would be important to maintain the sanctity of the standard, but it is really making a mockery of the intelligence of the person who is being tested. Basically you are rating intelligence on how fast one talks… That would make people from Massachusetts and Minnesota, which are fast talking states, appear smarter than states in the South, like Mississippi, Alabama, and Louisiana, where they talk r-e-a-l slow…..
“But that would make black people appear dumber than whites, unless of course, they grew up in a house where language was spoken quickly, Southern Hillbillies would score low. And second language learners, of course are slower because they are translating as they go, and they are getting a lower score because of the time it takes for them to say something…. but yet all of these could pass a written test fine. It looks like our entire rating system predominantly hinges on this one trait, speaking faster. 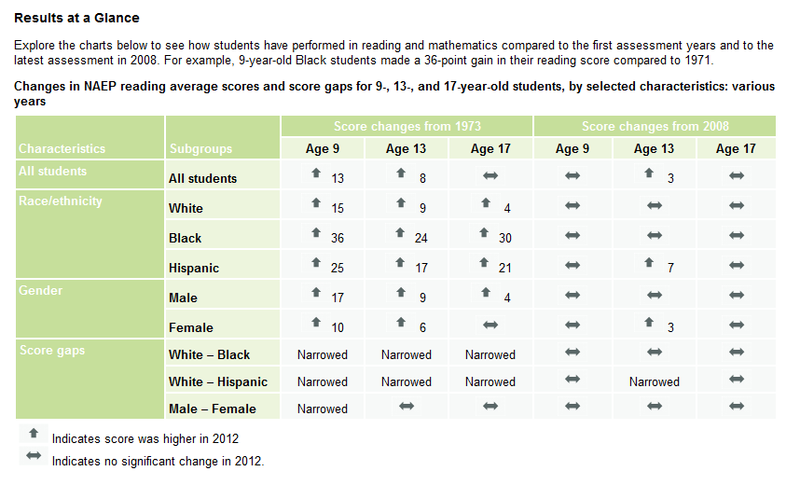 That could explain why the North has higher averages than the South, the East averages are higher than the West’s. The new fashioned way of… how many words can you repeat back to us, and does your repetition have a organized beginning, body, and an end.,, might be a good test for a game show on TV, one hinging on one certain skill, particularly how fast one’s tongue could move, but it is not a good measure of one’s intelligence. A lot of very intelligent people are circumspect and weigh each word carefully, and speak slow because of their intelligence. So if we are using this to rate our children, and then using our children’s performance to rate our teachers, their schools, our districts. doesn’t that put the entire standardized testing system now being developed with a half a billion dollars for Common Core, in disrepute? Really, how can we go forward when those leading us from high within the Department of Educations, have no clue of what they do? The speed at which people speak is determined on the language spoken around them while their brains developed between one and two years of age… Therefore, Judging a teacher’s performance based on this very arbitrary trait, needs to be stopped…. What is wrong with our DSEA? Just scoured all the newsfeeds and educational blogs and didn’t see anything supportive of Common Core…. Am I just on the wrong search engines? Or is the silence of anything supportive of Common Core for real? Because right now, it looks like America is waking up…. How Many Tests Do We Need? At $40 million per test…. add them up…. 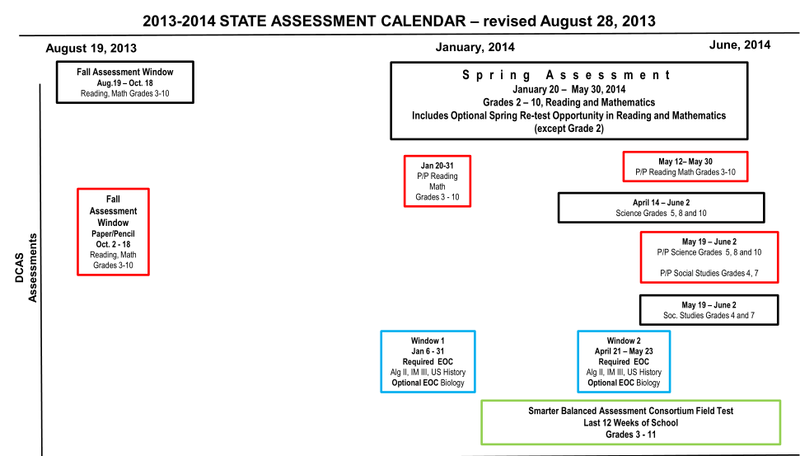 I count 9 testing windows…..
Grades 3-10 Fall Assessment Window October 2-18….. Required EOC: Algebra II, IM III, US History, (optional) Biology April 21- May 23rd. So when does a child get a chance to be taught? It appears that through November and December, a child gets a chance to be taught without being pulled out to take a test…..
At $40 million per test…. don’t the priorities seem a little warped to you too? 1) Charter Schools have been set up by this law to compete for funding by the acquisition of students, and can control the parameters upon which students get to go. 2) This bill removes many important services from needy students in Delaware’s Public Schools. 3) All students deserve a quality education, without competing for seats where funding may at whim, be arbitrarily moved around by the Department of Education. 4) The use of public money for more funding for charters with capital needs, stands in direct opposition to those public schools in deeper need of those funds. 5) 10 years is too long of a term to keep charters renewed. 6) Funding cut during the depression for the necessary running of public schools, is not being reinstated; but now, is being given over to charter schools instead. 8) Zero accountability for diversity. 9) Zero accountability for local control. 10) Zero accountability for impact. 11) Zero accountability for transparency. 12) The Performance Framework is a very weak, spindly frame to hang capital funding upon. Your grandkids could figure how to wiggle through it. So can lawyers. 15) This bill allows Delaware’s Department of Education to move citizen’s levied public tax money over to any charter it desires, based on need. If a charter fails to perform or financially fails as did Pencader, the DOE can rob any treasury it wants of public funds it does not own, to pay that charter with your money! 17) The DOE has, with even far simpler standards then exist in this bill, failed to keep charter schools accountable in the past. If it is hard for one to do something dirt simple, how will one do something that is far more complicated? Pencader had to close because the DOE was not involved up until more money had to be invested after they closed. Yet the DOE is responsible over the course of the life of that school for following up. 18) We often talk of charters versus public. We’ve never even once talked about new charter schools wiping out existing charter schools. To give the big megalithic charter a free building, free start up costs all out of taxpayers dollars when there are banks lined up to loan them money,… is simply unfair to all those pre-existing charters who still have to make loan payments, and invest in their schools too…. 20) The chief of the superintendents, came out against this bill. All superintendents are privately opposed to HB 165, even those on the working committee…. 21) Delaware’s Attorney General’s office said the working group creating this bill, broke Delaware’s law. 22) Parents of hungry children, can’t afford to send their hungry children to charter schools. The charter school associations lawyer himself, said this bill does not force charters to give Federally mandated meals to children needing them. 23) This bill takes away opportunities for Blacks and Hispanics, especially by siphoning money out of public schools. If this bill passes they will be forced into substandard schools within the city, either Charter or Public, and the schools in the affluent neighborhoods, will become even better. Education again will be separate, and not equal. 24) This bill is too heavily lobbied. DSEA has 6 lobbyiests assigned to this bill. Rodel has 2 lobbyists assigned to this bill. Rhett Ruggerio Government Relations LLC has 6 lobbyists registered to this bill. They public has zero lobbyists against this bill, and when a representative tried to intervene on the publics behalf, she was barred from the room. This bill is one sided. The other side deserves being heard because it is the majority stakeholder in the educational question: parents. 25) This bill does exactly what Chicago and Philly did to their schools 8 years ago. Today they are facing mass closings. 26) This bill penalizes religious and non profit charters. It helps spawn 27 new charters now approved to be opened by 2014, all of which will then be competing against religious and non profits who unlike the new charters, won’t have the option of having their capital funding paid. This bill cannot be amended sufficiently, just like one can’t put their car back together with string. Please do not support Jacques’ and Sokola’s horrible bill that makes educating the rest of the 92% of our children much harder, not easier… This bill, had it been created in an open session would now be a completely different bill. It needs to die. There is nothing here that can’t wait 6 months for all of you to pick it up again, this time when all of you are smarter about the ramifications it creates… After all, six months is only 26 weeks away…. No bill is perfect. There is always something one thinks of at the end that needs tacked on. More minds are better than one…. Whereas SB 51 was pushed through too fast, and amendments were added at the last step, it makes sense to begin discussing them with this bill, HB 165 at its beginning…. The bill has a hearing before the House Education Committee on Wednesday at 2:30 …. That is what this thread is for….. Proposed Amendments to make it a solid piece of legislation. The biggest issue with Charter Schools and why the issue is divisive is that Charter Schools take money away from public schools. Many public schools are underfunded. Decreasing their income further and giving that to Charter Schools, is controversial. But, if no money gets taken away, then that issue becomes moot. So hence this amendment. (p) No new moneies being diverted to Charter Schools can come from the loss of any public school funding. Nor can they come from the closing of any pre-existing programs. All funds for Charter Schools must come from new assessed revenue that will be deposited within the State Treasury, which shall be increased by the amount expected to fund the Charter School’s demands. If we want $50 million for Charter Schools, we increase the income tax on top earners to a percentage that gives us $50 million. The funding for public schools is never touched and is completely independent upon whatever goes on with Charter Schools. This way we can have our theoretical laboratory which tests out new ideas, and can implement the working ones into our public school system without penalizing the public school system to do so. The top percentage doesn’t need their money. If we need Charter Schools enough, that is where all Charter School funding should arise. Not that school district’s property tax base. There are enough votes in both the House and Senate to make this tiny change, which then moves us forward. But, if we fail to do that… there are some alternatives not as pretty. (q). All employees working for a Charter Organization, must be represented by the exact same union as their counterparts in the public school system. This should help public and charter teachers communicate and spread ideas among themselves. They will not be enemies trying to take each other’s job, but members of the same union having the exact same interests. ..
Another problem that has been expressed with this bill, is it is holding Charter Schools to an accountability that has not yet produced results. It is new, and therefore experimental. Therefore perhaps this wording change could clarify…. Feel free to put more on the bottom. I’ll move them up… Keep in mind, we have 3 days.